I have been so fortunate to capture Leigh and her crew together a few times and I simply LOVE watching these babies grow, change and develop. (You can take a peek at Leigh’s maternity session and newborn session here). Seeing families grow together is truly amazing and I will be forever honored I am a witness to these precious times. 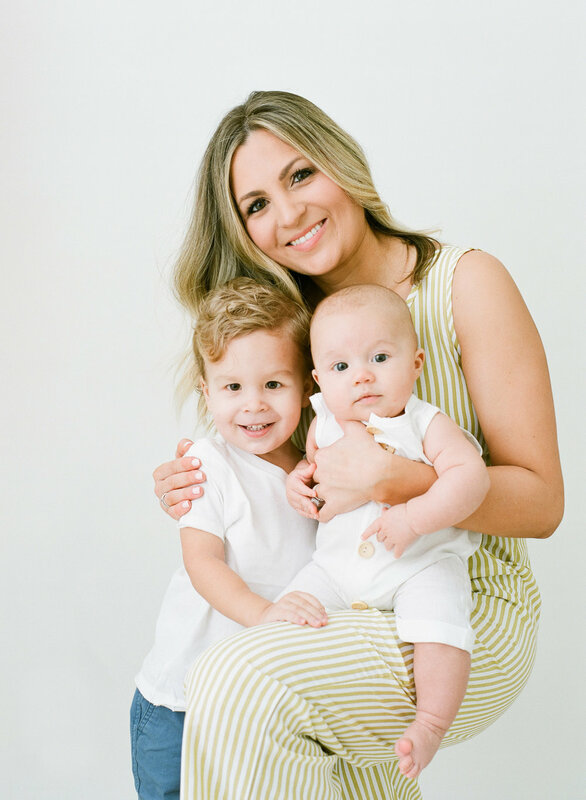 Leigh and her sweet boys joined me in the studio last month for a fun little motherhood session and I couldn’t believe how big her boys were - especially baby Kennedy who was just a few days old the last time I saw him! We all know moms are usually the ones behind the camera documenting all those precious moments of the everyday. But YOU, mama, are one of the biggest parts of the story and you need these moments captured with your children and being able to give Leigh this gift was priceless!